Any voter may vote by mail, in any election, for any reason whatsoever. All valid Mail-in Ballots are counted and are included in the election results. Applications must be received by the Clerk of Elections via mail 7 days prior to the election. Hand delivered applications will be accepted up until 3pm the day before the election. You may authorize a messenger to appear at the County Clerk’s Office with your completed form, provided that you fill out and sign the application designating the messenger. A messenger may not be a candidate in the election for which the voter is requesting a ballot by authorized messenger. 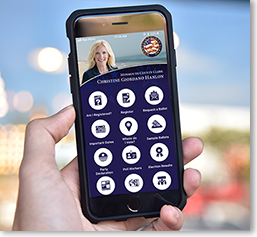 The messenger is required to show photo identification when he/she delivers the application to the County Clerk’s Office. Upon approval the ballot will be given to the messenger for delivery to the voter. Note: A person may only serve as a messenger for 3 qualified voters. For more information, call 732.431.7790.